Indiana State University will create its own flight academy that will operate from Terre Haute International Airport, officials announced Friday, following action by the university's governing board. Indiana State trustees gave university officials the authority to negotiate and enter into a contract calling for the airport to renovate a facility to provide classroom, office and hangar space in exchange for a four-year lease by the university. "Our Professional Aviation Flight Technology program has always been a high quality program and one of the best in our region. 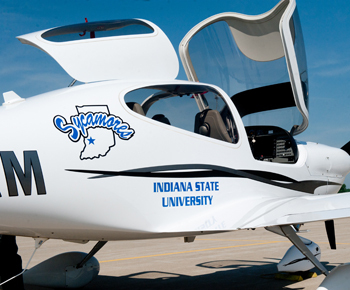 The establishment of the ISU Flight Academy will enable the program to become even more distinctive and more attractive to potential students," said Jack Maynard, Indiana State's provost and vice president for academic affairs. The university's aviation technology department will manage the daily operations of the new flight academy, which officials hope will be available to students starting next fall, said Harry Minniear, chair of the department. The university will have a fleet of airplanes to train ISU's student pilots. "We think this announcement will help with the increased recruiting and retention efforts of our students and create opportunities for our management students as far as internships and experiential learning are concerned," Minniear said. 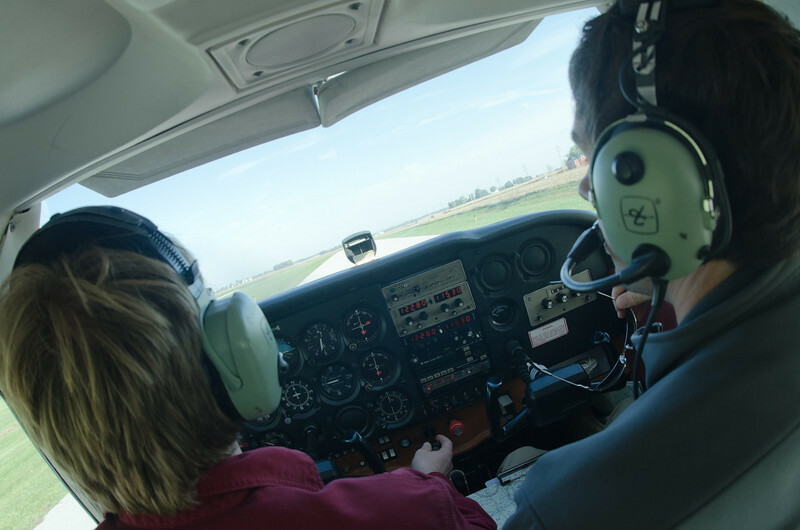 For nearly 40 years, Indiana State has teamed with Brown Flying School, which operates out of Sky King Airport north of Terre Haute as well as Terre Haute International, to train student pilots. The aspiring hopefuls at Indiana State are able to practice on several flight simulators at the university, while Brown Flying School instructors would take the students to the skies. "We have a great relationship with Brown Flying School," Minniear said. "They have been with us for many, many years, and we wouldn't be where we are today without the friendship and professional relationship that we've had with Brown Flying School and the Brown family." While the partnership with Brown Flying School has served Indiana State and its students well, the university needs to offer its own flight academy to remain competitive and ensure that students can learn by having access to the most up-to-date technology , said Maynard. Indiana State has one of the few professional pilot programs that does not have a flight academy, he noted. Indiana State officials first considered the possibility of operating a university-owned flight academy about five years ago, although discussions became serious two years ago, Minniear said. Several different factors played a role into the timing of the decision, including the market for aircraft, which currently favors consumers, he said. Minniear emphasized that the university will seek pre-owned aircraft, though they will be modern airplanes featuring the most current technology, such as modern cockpits with different computer technology that might not be available in older aircraft. The planes will be used solely for flight instruction and will not be for use by faculty or other university personnel, he said. The new flight academy will allow the university to have greater oversight of flight operations, Minniear said. "These new opportunities will give our pilots the ability to train in high technology aircraft," he added. "It helps to better prepare our students for the types of jobs that they'll be pursuing in the aviation world once they graduate." Terre Haute International Airport did not have space available for Indiana State to house a potential flight school until a location recently became available. ISU officials have been in preliminary discussions with multiple service providers that are needed to support the new flight academy. "The new Indiana State University flight academy will not only include modern airplanes but additional renovations that will provide the space needed for a 21st century flight school," said Bradford Sims, dean of the College of Technology at ISU. "We are excited to partner with the Terre Haute International Airport to support future economic growth." ISU will create its own flight academy that will operate from Terre Haute International Airport. University officials say the move will help ensure that aspiring pilots in the ISU professional aviation program have the latest technology.